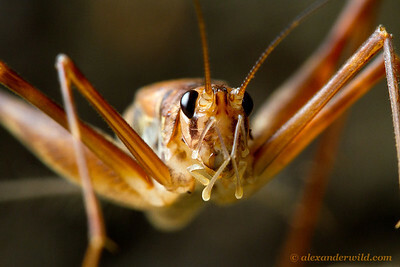 Portrait of a Belizean grasshopper, photographed at night at Caves Branch Lodge. 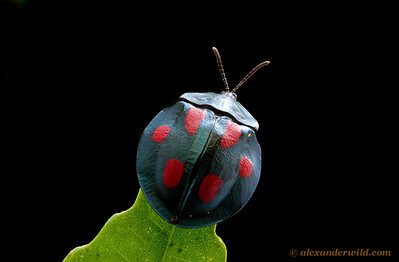 The BugShot workshop will explain how to compose & light this type of image. 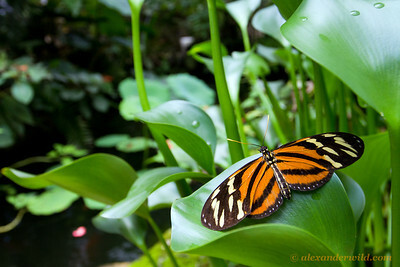 An Isabella's longwing (Heliconiinae: Eueides isabella) poses for a wide-angle photograph at the Green Hills Butterfly Ranch. 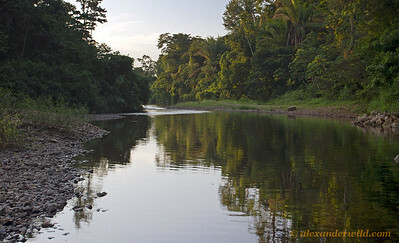 Caves Branch River runs just in front of the lodge and botanical garden. It's picturesque, sure, and a lovely spot for a swim, but the river is also a great source of aquatic insects for our workshop. 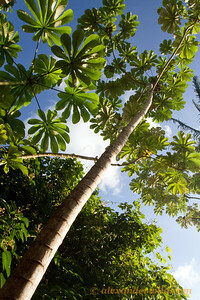 Cecropia trumpet trees are common along roadsides and disturbed habitats. 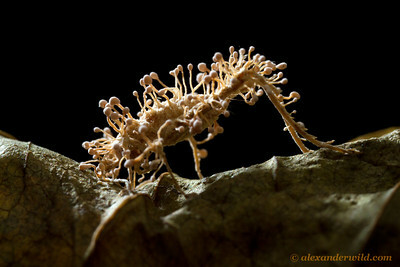 Their stems house colonies of fierce Azteca ants that protect the tree in exchange for room & board. 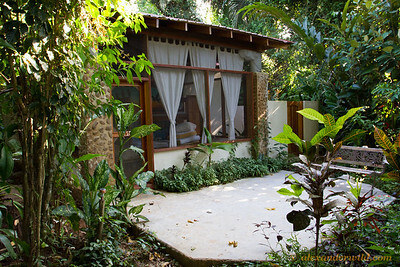 Our basic accommodation for BugShot will be the Suites. These clean, well-appointed cabins can each hold 4 people with a common sitting area and front veranda. As will all lodging, the suites are surrounded by forest and the walls are screened. 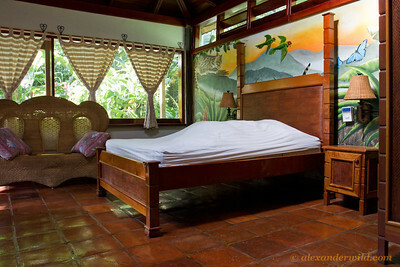 If you need more privacy than in the suites, you can book one of Caves Branch's bungalows. 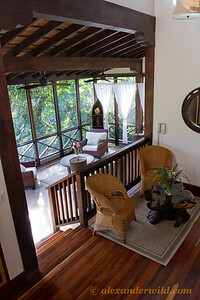 Caves Branch offers several levels of accommodation, the most luxurious being the Tree Houses. 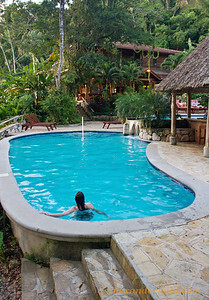 Here you'll enjoy king-sized beds, lovely screened patios, and a hot tub, all up in the trees. 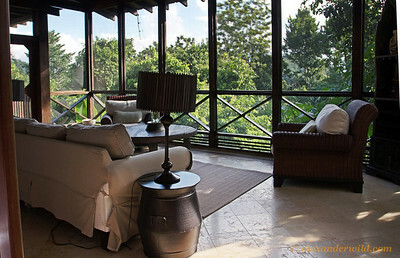 Tree Houses are pricey, sure, but that's only because their deserved reputation as the most unique luxury rooms in all of Belize has them booked out months in advance. Our recommendation: get one if you can! 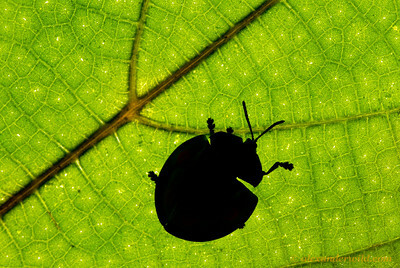 Among our favorite insect photo techniques is the silhouette, where either an off-camera strobe or natural sunlight is used to backlight a leaf. We'll practice this approach during our workshop. 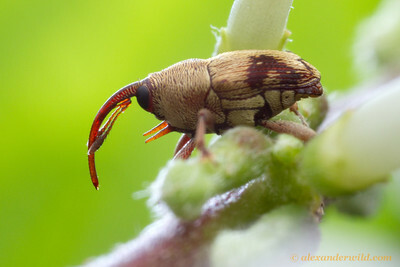 This Stolas leaf beetle (Chrysomelida) was seen walking about in vegetation just outside the main lodge building. 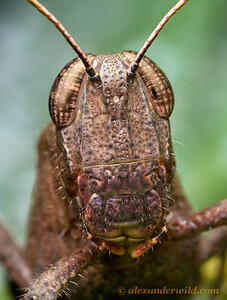 If 6-inch long grasshoppers are your thing, Tropidacris cristata isn't shy. 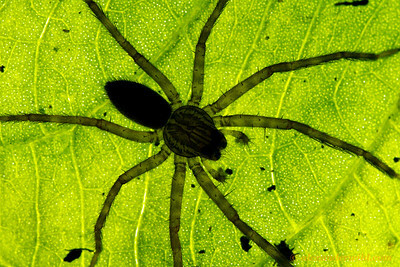 A spider photographed on a backlit leaf at Caves Branch lodge. 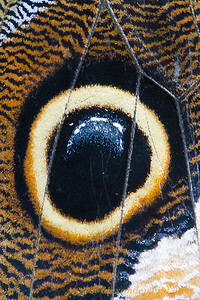 BugShot Belize aspires to teach more than just photographic technique. 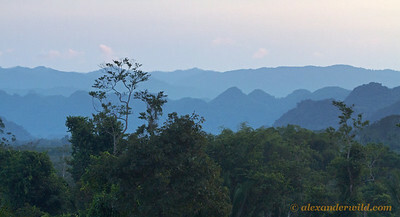 We aim to provide a basic foundation in tropical ecology as well. 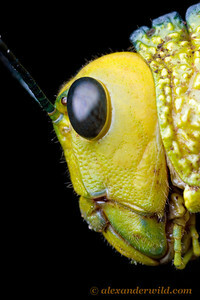 With a sense of context for the local insects, you'll be able to find and tell fascinating natural history stories. 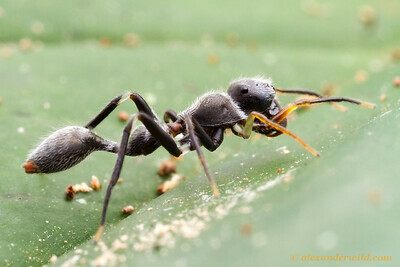 This photo shows a Pseudomyrmex peperi twig ant taking a nutritious food body from a swollen-thorn Acacia tree. The tree feeds and houses the ants in exchange for protection from the forest's incessant herbivores and aggressive vines. 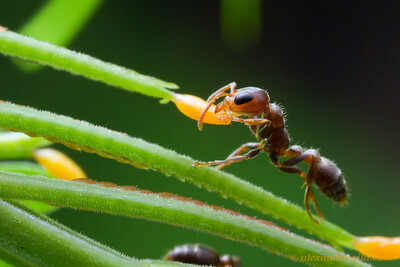 The ant-acacia story is a classic example of a tropical mutualism. If you know to look for it, you'll take some stunning photographs. 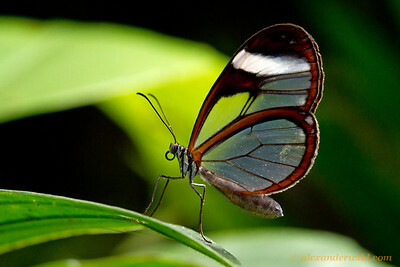 The lovely glasswinged butterfly Greta oto. 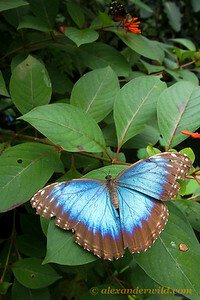 Photographed at Green Hills Butterfly Ranch. 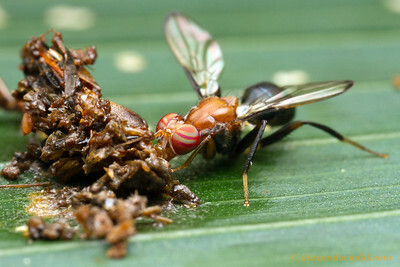 You'll want to look closely at the ants, because some aren't ants at all! This jumping spider (Salticidae) uses body constrictions, bands of white hair, and ant-like movements to mimic a Pseudomyrmex twig ant. Photographed in the Caves Branch botanical garden. 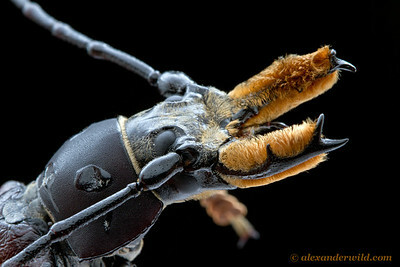 This male weevil- only a few millimeters long- sports a set of jousting spines on his chest. 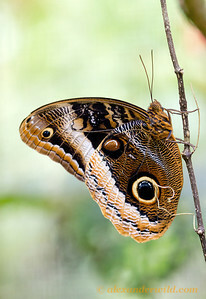 It was photographed in the Caves Branch botanical garden, which also holds Belize's largest collection of living orchids. 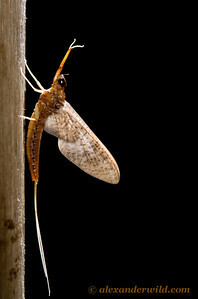 During the evenings we will set up a blacklight at the lodge to attract flying insects such as this mayfly. 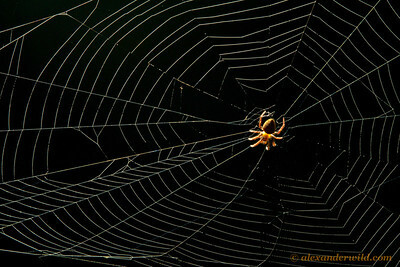 Spiderweb photography requires special attention to the placement and intensity of light. We'll make sure all participants have an opportunity to practice the technique! Photographed along a trail at the Caves Branch lodge. 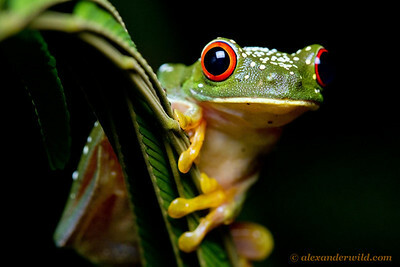 Tropical forests host a tremendous diversity of plant species, fueling a corresponding diversity of plant-feeding insects. This Stolas sp. 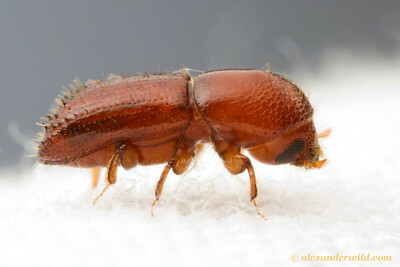 leaf beetle (Chrysomelidae) was found along a trail at Caves Branch and photographed in a makeshift studio. The insect night shift is different from the daytime fauna, so we'll be taking evening walks to find nocturnal animals like this Uvaroviella (Phalangopsidae) cricket. (Thanks to cricket expert Piotr Naskrecki for the identification!). 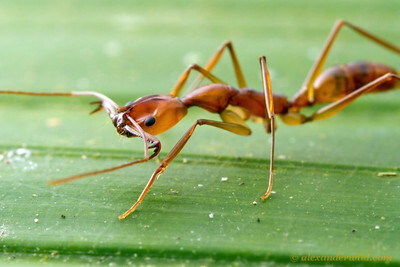 The slender Anochetus micans is among the most elegant trap-jaw ants anywhere in the world. Like most trap-jaws, it hunts with the hair-trigger trap latched open to 180º. Photographed along the forest trails at Caves Branch lodge.